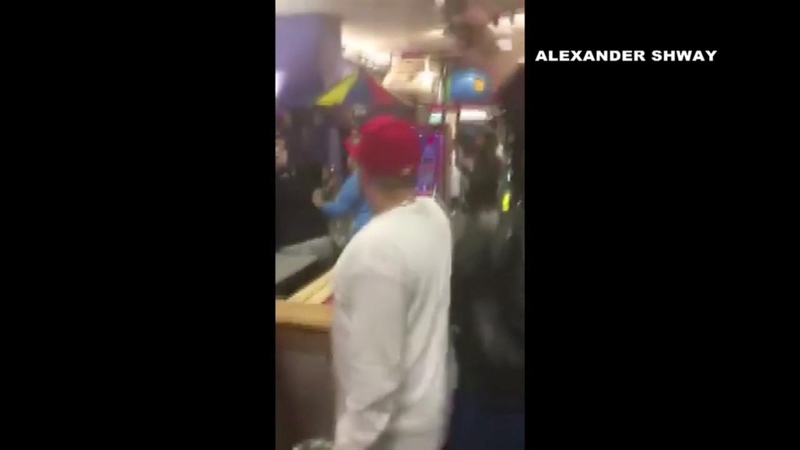 Police are looking for about a dozen people involved in an all-out brawl caught on camera at Chuck E. Cheese's in Manchester, Connecticut, on Sunday. The incident began between two women at the restaurant at 82 Buckland Street and might have started after the two bumped into each other, according to Manchester police. It quickly escalated to include about 12 people, police said, and two children suffered minor injuries when they were knocked down during the brawl. The group involved in the fight left before officers arrived. Police are reviewing video of the incident to try and identify those involved.